Jim Shaughnessy went to watch an unnamed film, and is here to tell us what he saw. PLEASE NOTE: IF YOU ARE PLANNING TO SEE SEARCHING FOR SUGAR MAN YOU MAY WISH TO AVOID THE REST OF THIS POST. OR DON’T. WE’RE NOT THE BOSS OF YOU. For years, Secret Cinema has been charming the skinny, turned up pants off London’s hip community, taking their guests on a journey deep into the heart of the films they are watching, with events packed full of actors who could have walked straight off the screen and into whichever disused warehouse had been appropriated for the film’s screening. Now Secret Cinema’s cousin, Secret Screenings, has returned. Similar to Secret Cinema in that no one knows what film they will be watching until the opening credits lurk onto the screen, Secret Screenings differs in one key area – rather than showing old classics or current blockbusters, Secret Screenings shows ‘important but unseen’ films. Films that, although very much worth watching, may not pop up on your personal radar. So, this is no normal cinematic experience, and this is no normal film review. It’s as much a review of an experience as it is of anything else. That’s how Secret Cinema operates. We were invited to London’s lavish Troxy, an old picture house in the up and coming (but not quite yet) Limehouse area of East London. We were told nothing about what to expect, except that South Africans and Americans had discounted entry. One of many mysteries that would be cleared up later. We filed into the Troxy, past hastily erected second hand record stalls that we assumed had some relevance to the film, under a balcony bedecked in South African and American flags and took our seats, increasingly unsure as to what film could possibly necessitate this décor. We found out soon enough. After the presentation of a truly wonderful short film that told the story of a blind, diabetic American (this wasn’t the reason for the flags) who had the largest archive of records in the world, standing at well over a million. He was trying to sell them but no one would buy them, even for well under their asking price. The evening started on such a note of pathos, the only direction in which it could go was up. After a few words from our compere, we had lift off. A shot of a long, winding mountain road hove into view. Reedy folk music played as the camera settled on a middle aged man driving along. He starts telling us about himself. His name was Sugar, he was a huge music fan and he would play a huge role in making this story so amazing. Then, the credits begin. The audience holds its collective breath as we await news of tonight’s feature presentation – what would grab our attention and emotions for the next two hours. Director of Photography slides across the page, then Producer, then we find out that the film we’ll be watching tonight will be Malik Benjelloul’s Searching For Sugar Man. Benjelloul’s directorial debut tells the story of Sixto Rodriguez, an American (flags) singer working in the late 60s and early 70s who sold, in total, less than 100 records in the US. His flame burned dimly and briefly, and he disappeared from the public view without ever really arriving. His Bob Dylan meets Nick Drake style hadn’t appealed to his crowd, and his nervousness when playing meant he left audiences underwhelmed. He was through. However, that tells only half of the story, for in South Africa (flags), Rodriguez had been selling records faster and in greater numbers than Elvis. He was a superstar, but as far as anyone could tell, he’d died before he could ever have found out. Rumours of how Rodriguez died varied, but all were tragic. Some say he shot himself on stage. Others say he doused himself and lit a match. One thing people were sure of, however, is that Rodriguez was dead. So one question remained; who was getting the money from his record sales? The hunt for the money takes the filmmaker around the world. He meets shady record executives, old friends of Rodriguez, South African journalists, South African detectives and Sugar, probably Rodriguez’ biggest fan. It’s a truly beautiful story, filled with heroes, tragedy, mystery and memories and it’s one that can’t be recommended highly enough. Magical moments abound – from Rodriguez’ daughters discovering his South African popularity to animated retellings of the lost icon’s final days. By the end, there wasn’t a dry eye remaining. We picked ourselves up, dusted the popcorn from our knees and made for the exits, where we were told to wait. Of course! It wouldn’t be Secret Screenings without something special, a little something extra. As we turned, the screen was lifted, and out walked…Sixto Rodriguez. It was intended not to reveal the twist of the film in this review, however it would be impossible to keep it quiet and put across how wonderful this evening was. Rodriguez isn’t dead, he just carried on with his life. He never heard about his fame in South Africa, so he carried on working construction in Detroit. When a South African detective contacted his daughter, she thought the whole thing was a hoax. It wasn’t. 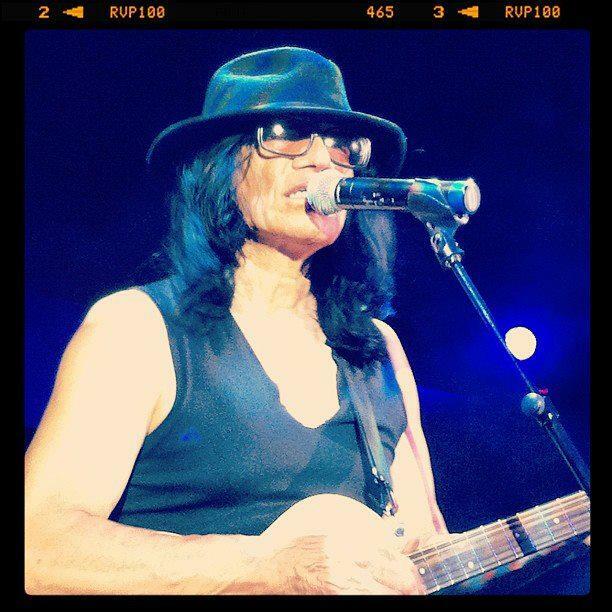 Rodriguez flew to South Africa and was greeted like a star, in the manner his music deserved. He’s since played sell out tours over there to tens of thousands of people – despite not being able to find a record store in the States that sells a single one of his albums. So there he was, Sixto Rodriguez. 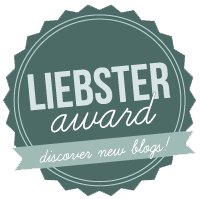 Not there for the plaudits, or to make a speech. He was there to play. He unslung his guitar and played us every song we’d heard in the movie. The South Africans in the crowd screamed for their hero. Everyone else screamed for their newfound idol. This really was an experience to be treasured. Secret Screenings excelled themselves in every possible manner, the film was incredible, Rodriguez’ set stirring. 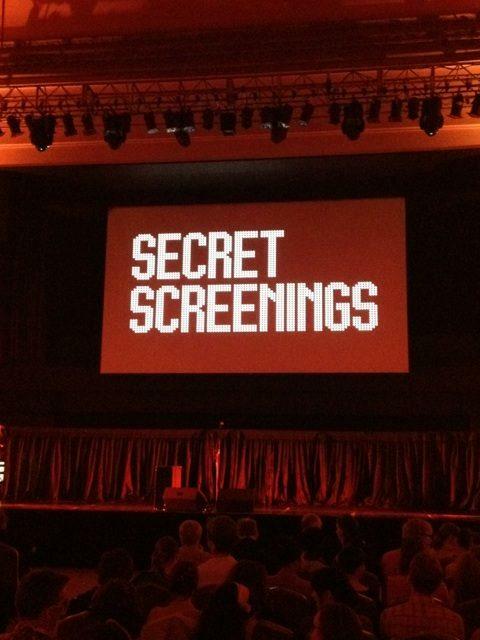 Secret Screenings has been confirmed as a pan European, monthly event, and though they won’t be playing Searching For Sugar Man again, we’d strongly recommend you do your best to be there next time.